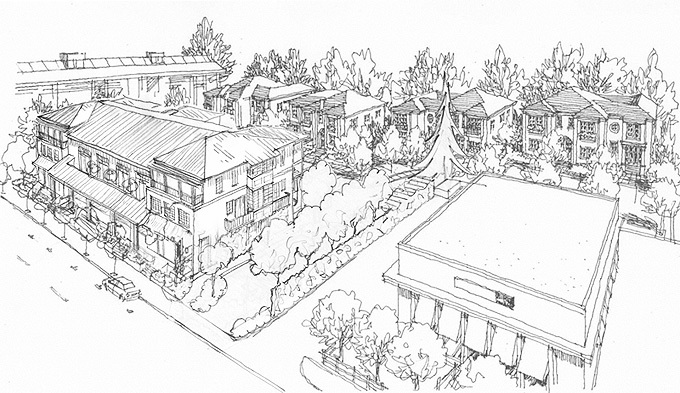 Tamalpais Commons is Marin's first 'Build It Green' mixed-use project. Located on a ½ acre lot at 505 Miller Ave. in Mill Valley, the property consists of one three story, mixed use building located at the front of the property with four groups of single family residential homes situated behind the mixed use building. Two 3 bedroom, 2 ½ bath single family homes plus one 2 bedroom, 1 ½ bath single family home grouped in the fourth building. The entrance driveway off Miller Ave. is located on the left side of the mixed use building and opens onto a parking area separating the mixed use building from the residential buildings. The driveway extends to the far right of the property and exits from the right side of the mixed use property back onto Miller Ave. Covered bicycle storage units are located at the far left and far right of the parking area. 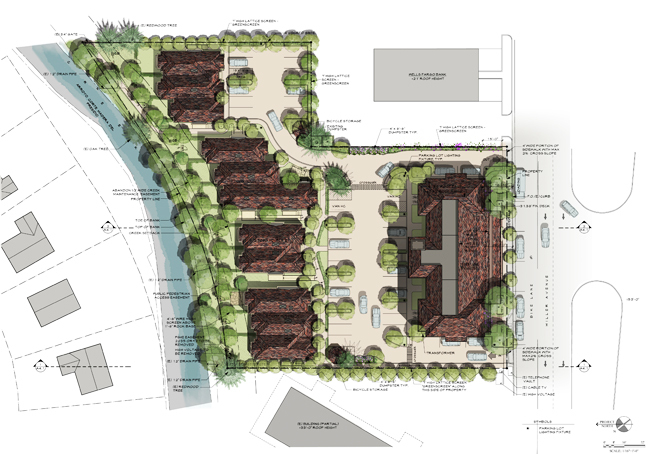 There are a total of 36 on-site parking spaces with 6 additional parking spaces located in front of the project on Miller Ave. Each residential home receives one dedicated parking spot (except for the affordable units). A total of 26 spaces are available for the condo units and customers of the retail businesses.